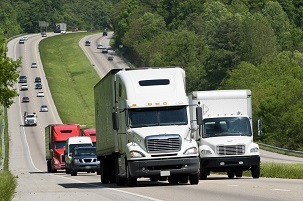 The family of a woman who lost her life after being struck by a tractor-trailer driver under the influence of methadone and Xanax has received a $5 million settlement from the trucking company. In this issue, we’ll talk about the aspects of the case. The woman was stopped at an intersection waiting for the traffic light to turn green when she was struck from behind by the tractor-trailer. Her car was pushed through the intersection and burst into flames. Surveillance video later showed that the truck driver did not brake before hitting the victim, who was pronounced dead at the scene. After being arrested and charged with aggravated manslaughter and death by automobile, the truck driver eventually plead guilty to vehicular homicide. It was also proven that at the time of the incident, he was under the influence of methadone and Xanax, a powerful prescription drug used to treat anxiety and depression. Methadone is actually an opioid-based medication that’s used to treat withdrawal symptoms of people addicted to heroin. The $5 million settlement was reached during mediation. As part of the agreement, the name of the trucking company will remain confidential. To their credit, the family of the victim is pursuing legislation that would require methadone testing for all interstate truck drivers. If you’re involved in an accident with a large truck, it’s crucial that you be aware of your rights. You can count on the trucking company’s insurance provider or the company itself to pressure you into accepting a low-ball settlement. Rather than letting them steamroll you, it’s imperative that you explore all of your legal rights.